Asher G., a 3 ½ year old, male, Labrador Retriever presented in mid-November of 2017 for vomiting and refusal to eat. An abdominal ultrasound was performed which revealed an intestinal obstruction. Asher was taken to surgery and Dr. Chris Glawe removed a ‘squeaker’ from a toy that was blocking Asher’s small intestine. Asher recovered well from surgery and hopefully won’t do this again! Beau is a 4 year old neutered male Labradoodle that was seen the end of August for weight loss, lethargy and very poor appetite. He had lost 7 pounds since his annual exam in June. He was very depressed and the owners could not get him interested in eating much of anything. With specific blood work tests we were able to diagnose Beau as having Addisons disease (hypoadrenocorticism). This is an endocrine disorder where the adrenal glands are not producing enough steroid hormones. Now with the appropriate monthly medications Beau is back to his happy energetic self! He has gained all his weight back and he has a great appetite once again. Briggs presented to Hampden Family Pet Hospital with a badly broken Individualized care for sore joints, left femur and severe soft tissue injuries. He was immediately taken to surgery and the fractured bone was secured using a large intramedullary bone pin and cerclage wires. Briggs required extensive post-operative physical therapy and his now back to his usual activities. Cowboy is a happy 1 year old dog that came in for an appointment when owners noticed very bad breath over a two week period. On physical exam Dr. Abbey discovered a long stick was wedged in his upper palate between his teeth. She removed the stick and he feels much better now! The stick left a large indentation in his soft palate which will heal quickly.Bones and sticks can occasionally become wedged in the mouth of dogs. Puppies especially like to chew so carefully watch their chewing habits. Buckey was just 10 weeks old when he presented to Hampden Family Pet Hospital. Another dog had fallen on him fracturing his left femur. Buckey was taken to surgery and Dr. Chris Glawe anatomically reduced the fracture and secured it using a cross-pinning technique. Buckey healed very well and regained normal use of the fractured leg. Honey Dew is a 4 year old 50 pound mixed breed dog who presented to our clinic on an emergency basis for acute spinal cord trauma, after chasing a squirrel in the back yard. She was unable to use her hind limbs and was in severe pain. We made her more comfortable with pain medication and she was given 2 IV doses of a steroid to decrease the spinal cord inflammation. She also had acupuncture treatment.Honey Dew was lovingly cared for by her family the next two weeeks. They kept her clean and did basic physical therapy. The first 10 days she was still unable to stand without help . Honey Dew had a second acupuncture treatment 2 weeks after her injury. After this treatment she started standing on her own and is now making a wonderful recovery! Otis is a sweet Beagle Mix that became very illwhile the owner was out of the country. When he was brought to Hampden Family Pet Hospital, he was so weak that he had to be carried into our ICU area. Initial diagnostic tests revealed severe kidney failure with the values being so high that they were unreadable on our blood analyzer. 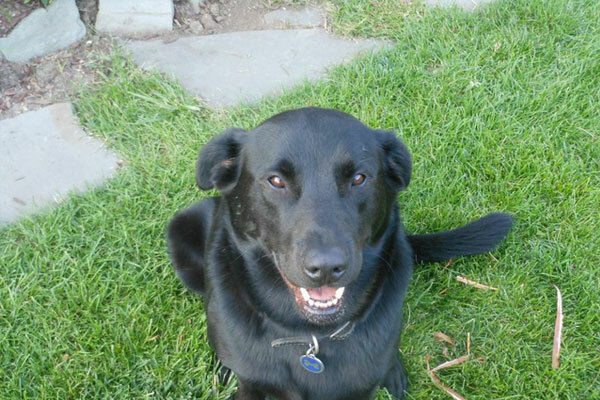 Emergency therapy was started to jumpstart Otis’s kidneys and address his life threatening dehydration. 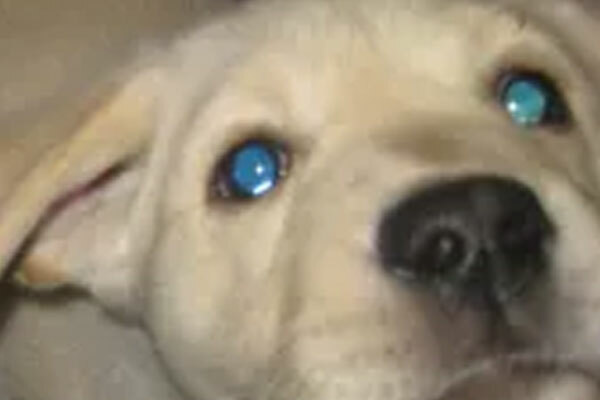 The owner returned home and scoured the backyard to find a chewed bottle of Ibuprofen and 100 tablets missing. 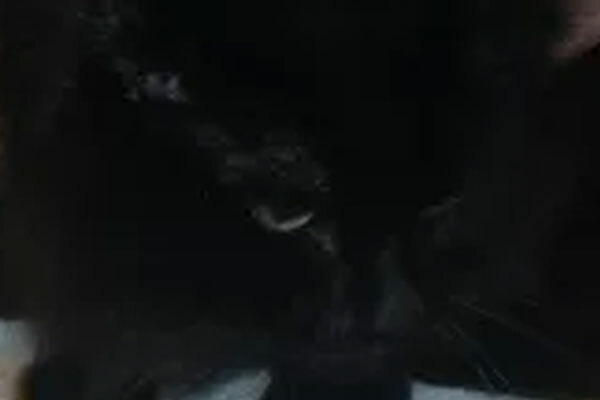 The milligram amount that Otis ingested is considered lethal. However, Otis defied the odds and slowly began to turn around after two days in the hospital. He was hospitalized for a full five days and received two blood transfusions along with supportive gastrointestinal medication. By the time he was discharged from the hospital he was back to his usual attitude and energy level. Recheck kidney tests showed a complete recovery! Ibuprofen as well as other over-the-counter human anti-inflammatory medications and acetaminophen (Tylenol) are highly toxic to dogs and can be fatal to cats. Emergency treatment is necessary to induce vomiting and reduce absorption of the medication(s). Intravenous fluid therapy is often initiated to address liver and kidney damage and gastrointestinal medication are prescribed to protect the lining of the stomach and small intestine. Notify your veterinarian as soon as possible should your pet accidently ingest any of these commonly used human medications. Otis is a very lucky dog and we are thrilled that he made it through such a seemingly hopeless situation. Cody is a 16 year old dog (MN) Labrador Retriever mix that came to me as a second opinion for a bleeding skin mass under her tail. I felt it could be removed and Dr. Glawe successfully removed it with no problems. Cody is very happy to have the mass off! 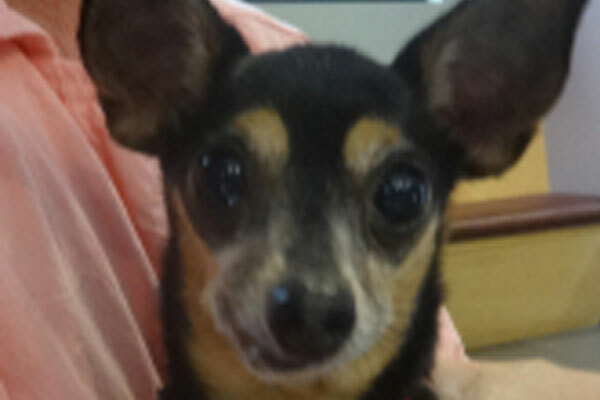 “Chica”, a 7 year old, spayed female Chihuahua came in for an examination because she did not want to eat her treats. She would not allow an oral exam due to her discomfort. A bad odor was noted from her mouth and a dental was recommended. During the dental procedure, dental x-rays were taken. Several teeth were found to be infected, but what surprised us the most was that she was missing the middle portion of her right mandible (lower jaw bone). After performing several surgical extractions, the remaining jaw bone was removed. Taking dental x-rays allowed us to evaluate the extent of her dental disease and formulate a surgical plan. We are happy to report that Chica is doing very well and is back to eating her treats. 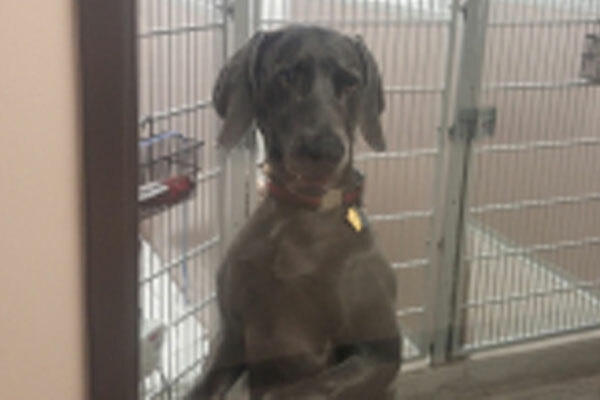 “Baron”, a 4 year old, neutered male Weimaraner, presented on July 14th for possible ingestion of an entire package of Trident gum. His owners brought him in within 30 minutes of ingestion. We induced emesis (vomiting) and found several sticks of gum in the vomitus. His blood sugars and liver function were monitored throughout the day and the following morning. We are happy to report that Baron did well but not all dogs are as lucky. Xylitol, a sugar substitute sweetener, is present in many products, including sugar- free gums, candy, and foods. In humans, xylitol is absorbed slowly and has little to no effect on blood sugar levels. However, in dogs, xylitol is absorbed quickly and causes a profound drop in blood sugar (hypoglycemia). It can also cause severe liver damage resulting in liver failure and death. 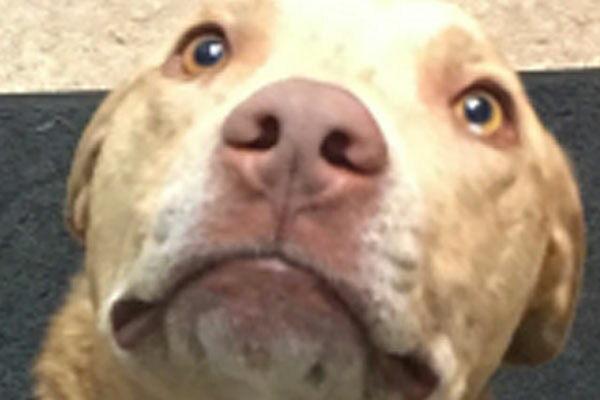 Based on information provided by some manufacturers, the Animal Poison Control Center has deduced that the quantity of xylitol in one piece of gum can potentially cause a low blood sugar (hypoglycemia) in a 20 pound dog. We recommend keeping sugar-free gums high up in cabinets and not leaving it around for easy access. Many dogs tend to find these treats in purses, jacket pockets and counter tops. 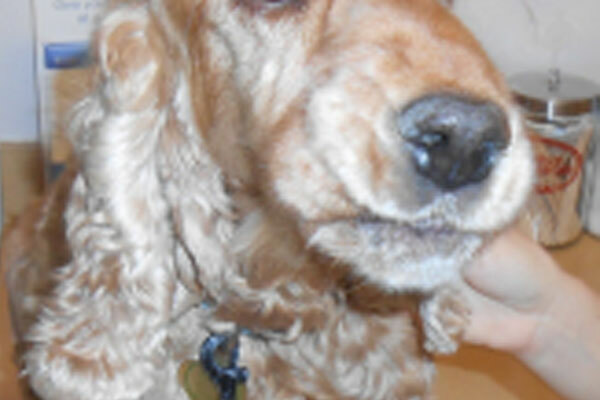 Davis is an 11 year old male cocker spaniel that decided to bite off more than he could chew one day. His owners gave him a cooked beef rib bone as a treat, and Miles ran into another room with it. A short while later they looked for the bone, which could not be found. The next day Miles started vomiting, and would not eat his breakfast. He was brought to Hampden Family Pet Hospital where x-rays were performed by Dr. Justin Milizio. Although only a small/medium breed, Miles had swallowed the entire bone! As seen in the x-rays, the bone was lodged in his stomach, and was so big that its sharp ends were pushing against the walls of his stomach on both ends. Without surgery the bone would stay stuck in his stomach, perforating his abdominal organs if left unaddressed. Miles was taken to surgery where Dr. Justin removed the bone from his stomach. Although an older animal, the knowledgeable technicians intensely monitored his vital parameters during anesthesia to keep him safe and healthy. Miles did great during and after the procedure and was sent home the following day. It is important to keep in mind that bones can be dangerous for animals. Bones (especially when cooked) can be sharp, causing internal bleeding and can puncture abdominal organs. Please monitor your animal when chewing on any larger treat, including dental bones, rawhides and other chews, as these can all become stuck in an animal’s stomach if swallowed. It is also important to keep in mind that if your pet is vomiting, it may be an emergency situation and your pet should be seen by a veterinarian as soon as possible. Yeager is a sweet, 12 year old German Shorthair Pointer that presented to our hospital on September 11, 2013 for evaluation of a very large tumor enveloping his entire left rear leg. The tumor had been present for some time, but had grown considerably in the short time leading up to his appointment. The tumor was dramatically interfering with his mobility. Nevertheless, he was still managing to walk on the affected leg. After a thorough work-up it was determined that Yeager was otherwise healthy. The only viable surgical option was to remove the left back leg and tumor. Yeager was operated on September 18th. After a lengthy operation, Drs. Willer and Glawe were able to effectively remove the left back leg and the enourmous tumor. 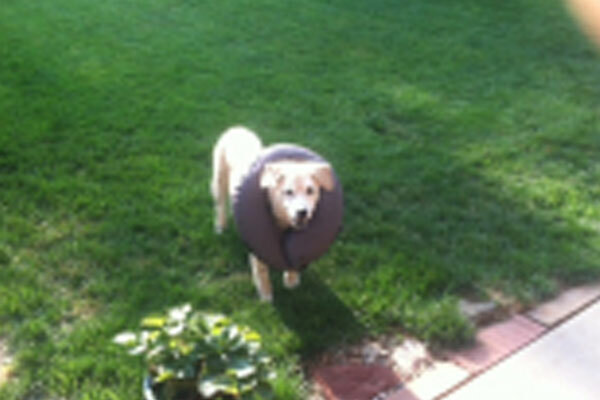 Yeager recovered very well from the operation and was up walking the next day! The analysis of the tumor revealed a low-grade malignancy with ‘clean’ margins which implies a good long term outcome for Yeager. 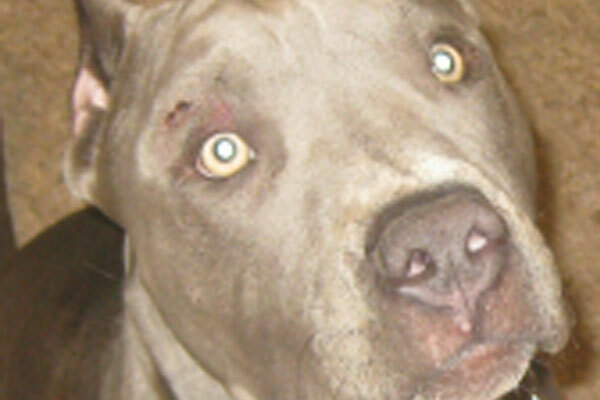 See the before and after videos of Yeager. Frankie, an older male german shepherd arrived at our hospital with a front limb lameness that had only been going on for a couple of days. The owner noticed some blood spotting near his paw that morning. It was mentioned that two week prior to his visit Frankie had accidentally jumped on a glass table and shattered it. During his examination by Dr. Justin Milizio a small open wound was observed on his paw. Frankie had his paw bandaged and was placed on an antibiotic and a pain medication. His issue resolved but then 3 weeks later Frankie returned with the same wound! At this point x-rays were performed, revealing what appeared to be a few pieces of glass within his paw. Surgical exploration was performed by Dr. Chris Glawe to remove the pieces of glass. Frankie did well over the next few weeks and healed completely, with no recurrence of his wound. 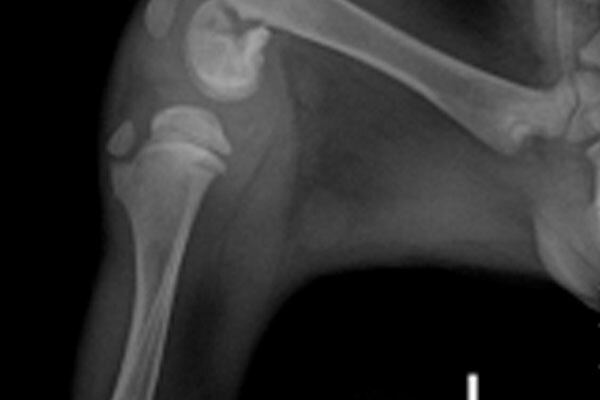 Paw foreign bodies are a common occurrence in veterinary medicine. Objects such as glass fragments, splinters, metal wire and grass awns can become stuck under an animal’s paw or skin. These objects will result in prolonged infection as bacteria can use the object as housing to avoid the animals immune system. Objects can also migrate through the body significant distances, resulting in draining tracts far away from the original puncture wound. If you animal has a wound that does not respond to antibiotic therapy, surgical exploration is often the next step in treatment. Always mention to your veterinarian if you animal may have stepped on an object that could have entered the paw. 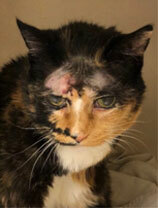 Bernadette, a thirteen year old spayed female domestic long hair cat, just could not seem to get over an ear infection. It seemed to respond to ear medication, but every time it would mysteriously return once she was off medication. 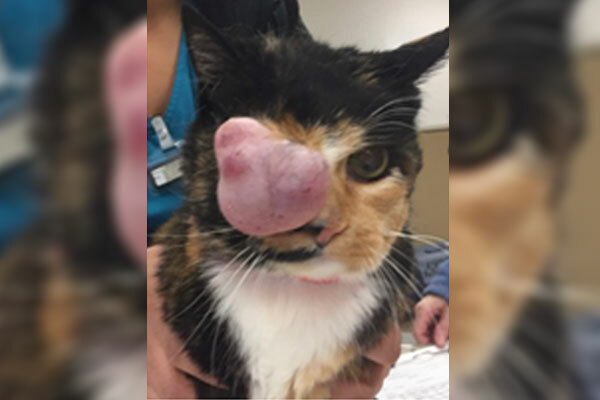 She was brought to Hampden Family Pet Hospital for evaluation where not only was an infection found, but also a mass was seen inside her ear canal. 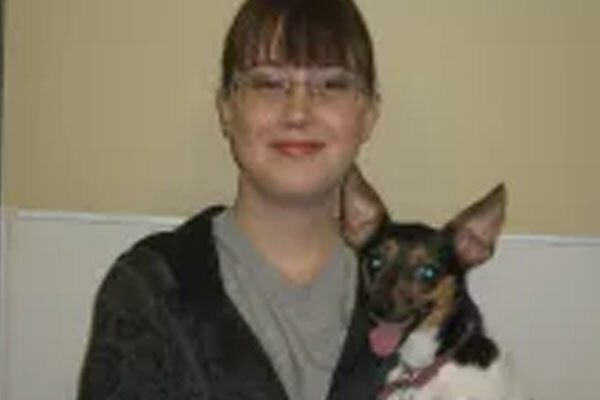 Bernadette was placed under general anesthesia for skull xrays and video otoscopy (using a small camera to look within the ear) to help visualize her middle ear. 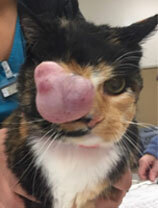 Based on those findings, surgery was performed to remove the mass coming from the middle ear which luckily came back as a benign growth, called an inflammatory polyp. After a short stay in the hospital, Bernadette was sent home. She did develop Horner’s syndrome, a possible side effect of the surgery, which causes the affected side to have a drooping eyelid, smaller pupil, sunken in appearance, and exposed third eyelid. This condition can be temporary or permanent and is caused by irritation of the nerves within the middle ear. In Bernadette’s case, the Horner’s syndrome resolved over a few months and since surgery, she has not had any more ear infections. Inflammatory polyps within the ear are typically found in younger cats and are one of the most common causes of disease in that part of the body. Symptoms can include head shaking, pawing at the ear, discharge, and neurologic signs, such as Horner’s syndrome, head tilt, and a drunken gait. Because of Bernadette’s age, both benign and malignant masses had to be considered. Advanced imaging, such as CT scan or MRI, can help determine the extent of a mass prior to surgery and give us a better idea of prognosis. If your pet displays any of these signs or you are concerned about a stubborn ear infection, do not hesitate to seek veterinary care. Furrgie B.is a six year old female domestic short hair cat, went from being petite to portly practically overnight. Furrgie is a friendly, vocal kitty, so when her owners noticed she was not seeking their attention and her appetite had dwindled they knew something was wrong. 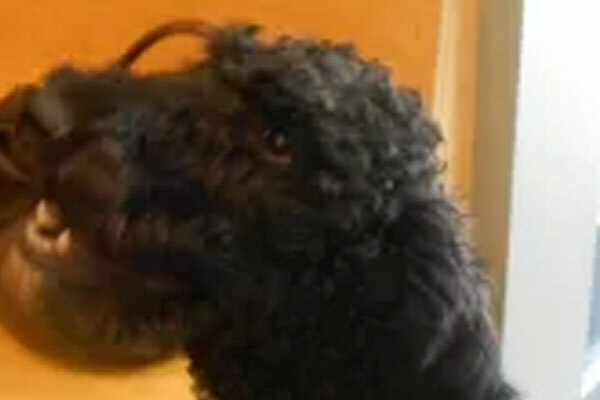 She was brought to Hampden Family Pet Hospital where abdominal xrays and an ultrasound were performed, which revealed her uterus was severely enlarged with fluid. She was taken to surgery at which time her ovaries and uterus were removed (called an ovariohysterectomy or spay). The abnormal uterus weighed approximately two pounds (20% of her body weight) and was consistent with a condition called hydrometra, or an abnormal collection of fluid in the uterus. She recovered very well after surgery and was back to her playful self within no time. Though diseases of the uterus, such as hydrometra and pyometra (uterine infection), are uncommon, they can be life threatening and are easily prevented with routine spaying. The most common symptoms are lethargy, decreased appetite, a distended and possibly painful abdomen, increased thirst/urination, and occasionally vulvar discharge that may be malodorous. If the uterus is not removed surgically, systemic infection and even rupture of the organ (leading to septic peritonitis) is possible and can be fatal. Spaying your pet early in life not only prevents this condition from occurring, but also confers other health benefits such as decrease risk of mammary cancer. If you suspect your animal may have this condition or you would like to discuss spaying your pet, consult with your veterinarian as soon as possible. Lawn Edging: A Backyard Danger Here at Hampden Family Pet Hospital we see a variety of lacerations and wounds inflicted by various animals, fencing material, and most commonly, lawn edging. Lawn edging is a very popular landscaping piece in Colorado compared to other parts of the country. It is used to separate mulch or gravel beds from grass. After several years the edging can shift, becoming loose or erupting from the ground. The edging can be very sharp at its corners, and can easily lacerate a dog’s wrist when running around or playing in the yard. Lacerations typically occur between the digits or just below the carpal pad- the fleshy protrusion on the underside of their wrist. These lacerations can bleed profusely and are very painful. Surgical repair can be very difficult, and amputation of the pad with multiple sutures and weeks of bandage changes are often required for proper healing. We recommend that you keep your lawn edging buried under a layer of dirt, gravel or mulch. The edging should be inspected every few weeks to look for sharp edges which need to be dulled down or repositioned. Plastic lining can also be purchased to cover the metal of lawn edging. 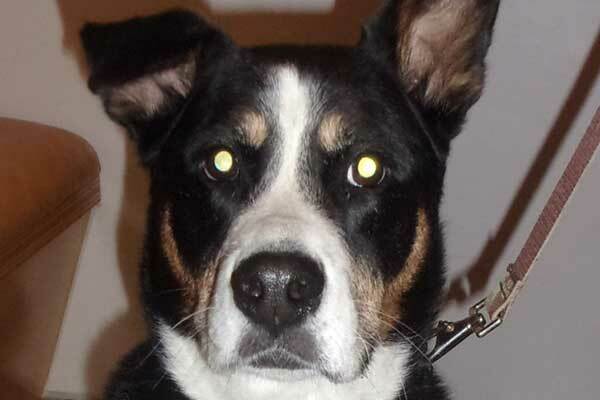 Jack D. is a 6 yr Blue Heeler who recently came to Hampden for his yearly exam. 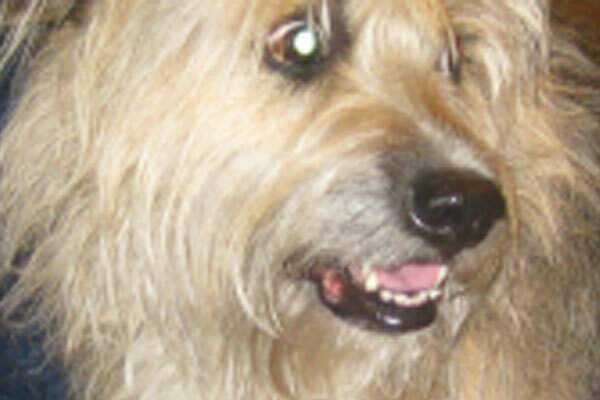 His owner had noticed that Jack had developed bad breath and was concerned about his teeth. 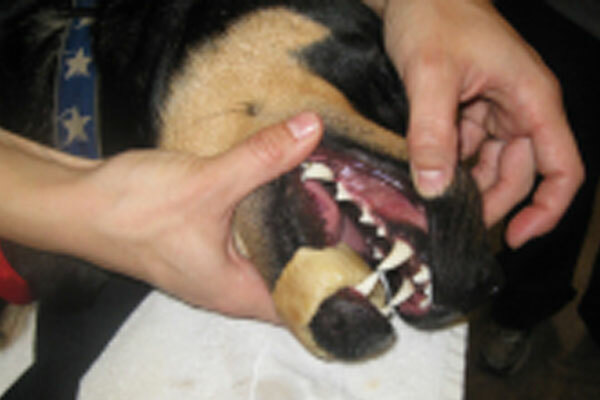 On physical exam, his right lower canine appeared broken. During his dental, we confirmed that the fracture penetrated into the pulp cavity where the blood supply and nerve reside. Our digital dental x-ray clearly showed infection (note widened canal & dark ring) at the base of the tooth. Oral surgery was performed to extract the tooth. 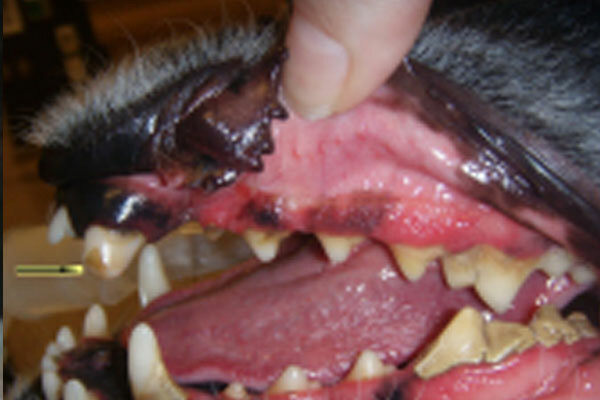 A gingival flap was created, bone was removed and the tooth was elevated out of its socket. Synthetic bone grafting material was placed in the large defect to increase bone regeneration. The gingival flap was then sutured close. Luna, a 9 month old puppy, had a little too much fun during one weekend in May. Luna loves to play catch, and her owners brought her to a local dog park so she could have some fun. 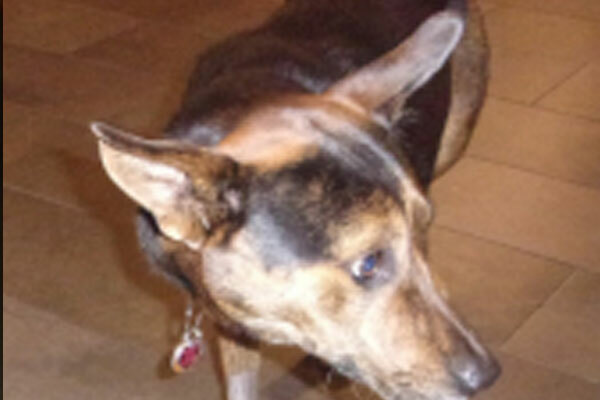 She caught a tennis ball that was thrown by a different owner, and she promptly swallowed it! Over the next 2 days Luna vomited repeatedly, and could not hold down and food or water. 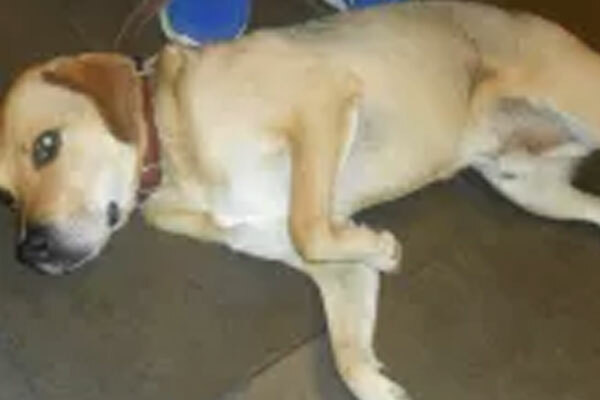 She was brought to Hampden Family Pet Hospital where x-rays revealed a ball trapped in her stomach. She was taken to surgery where an incision had to be made into her stomach to remove the ball. After surgery Luna was monitored by our overnight staff, and was given fluids, antibiotics and pain medications. She was sent home the following day and made a full recovery. Since the surgery her owners have been very careful to prevent Luna from accessing items small enough for her to swallow! 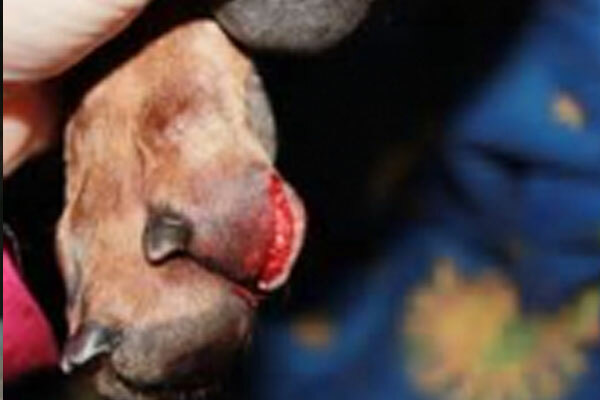 Foreign body ingestion, such as the case with Luna, is a surgical emergency. Ingestion of toys, socks, bones, and even a tennis ball can result in the blockage of food and water moving through the gastrointestinal tract. The most common symptoms observed are vomiting, diarrhea, lethargy and a decreased appetite. If the source of obstruction is not removed quickly, part of the gastrointestinal tract can die, resulting in a rupture that spills food and bacteria into the abdominal cavity. This results in a severe infection and can be fatal. If your dog has a history of eating foreign material, try and do your best to prevent access to these items. If your dog has symptoms which include vomiting, diarrhea and decreased appetite please seek veterinary care as soon as possible. 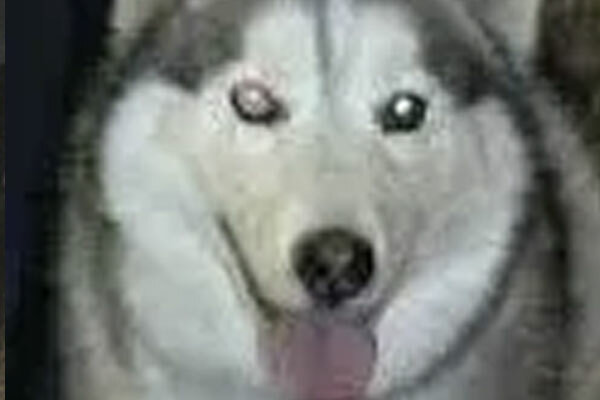 Anubis, a 9 and a half year old male Siberian Husky, has been a patient at Hampden Family Pet Hospital since 2004. In early February of 2010, a large mass developed over the outer aspect of his left elbow. The mass was about the size of a baseball. Initial tests on the mass showed that it was benign. Our surgical team proposed removing the mass and closing the defect with a skin graft. A mass of this size makes surgical removal very challenging, especially over the elbow region. Another complicating factor is that Anubis is a diabetic and this condition can interfere with proper wound healing.Anubis was taken to surgery on March 5, 2010. The large mass was completely removed and a skin graft was taken from above the elbow and rotated over the site where the mass was removed. Drains were placed to remove excess fluid from the surgery site. The skin graft was then sutured in place. Anubis handled the surgery very well. The skin graft was monitored very closely over the next two weeks. The entire skin graft remained viable and Anubis continued on with his normal daily routines. Final analysis of the mass proved that it was benign and the entire mass was completely removed thus resulting in a surgical cure. Anubis's mom was terrific in bringing him in for numerous recheck appointments, making sure he did not lick at the incision, and keeping his activity controlled during the healing process. Deacon is a sweet 7 month old dog who had an unfortunate encounter with a rattlesnake. He was initially placed on antibiotics and pain medications. Unfortunately the venom from the snake continued to cause internal bleeding and swelling. By the time we met poor Deacon his face and eyes were swollen to twice their size. We treated Deacon with IV fluids and a plasma transfusion to get him on the road to recovery. Stay away from rattlesnakes Deacon! 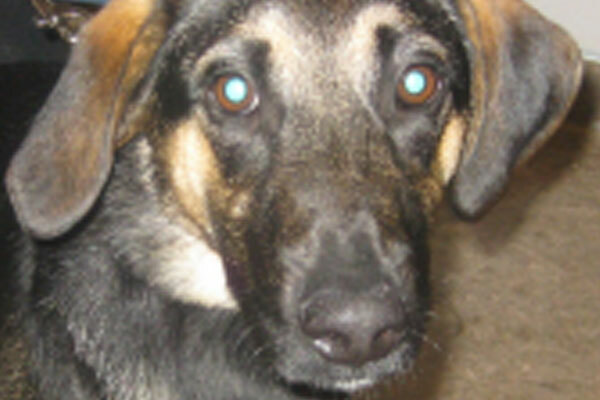 Daisy came to Hampden Family Pet Hospital in October of 2010 with broken left front leg. Daisy fractured the same leg six months earlier. The fracture was repaired at another hospital and she seemed to have recovered completely. However, a slight slip off of a step resulted in a re-fracture of the leg. 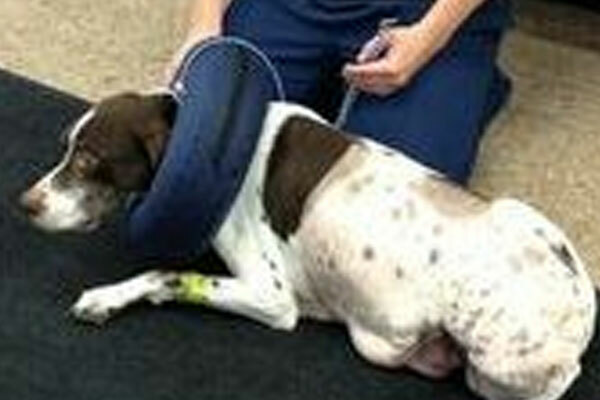 Daisy’s owners were contemplating amputation due to the lengthy recovery and costs incurred with the first surgery. We were intent on repairing the fracture so that she could keep her leg. Dr. Glawe was able to offset some of the cost of the surgery by utilizing money from the Helping Hands Fund. A bone plate was applied to Daisy’s forearm bone and bone graft was added to the fracture site to spur her healing. She was restricted from activity for 8 weeks to allow the bones to heal properly. X-rays confirmed healing of the fracture and Daisy was allowed to gradually resume her normal activities. 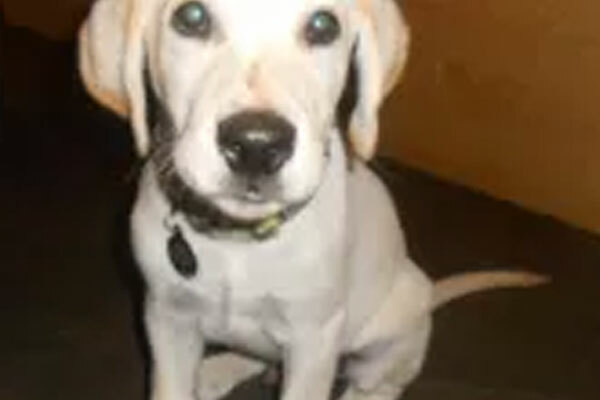 Stella, a yellow Labrador puppy, presented at 4 months of age for vomiting, diarrhea, anorexia, and lethargy. She had a history of exposure to grapes and her illness came on rather suddenly. Stella was depressed and dehydrated and her kidney values were quite elevated (one was too high for our analyzer to read). We instituted aggressive fluid therapy along with medications to lower her elevated and potentially dangerous Calcium and Phosphorus levels, while closely monitoring her electrolytes. Stella stayed in our hospital for five days. With aggressive IV therapy and dedicated nursing care along with love and support of her family (mom and dad visiting frequently), Stella was able to go home. She'll need on-going monitoring for kidney change throughout her life, but she has been doing great at home so far. Stella suffered from grape toxicosis. Grapes and raisins are toxic to the kidneys of dogs and cats (However, cats are much less likely to eat grapes or raisins). Stella was lucky to have survived. Always be careful and consult your veterinarian if you are unsure about the safety of a particular food or medication for your pets. What may be safe for a human could be toxic and even deadly to a pet. Angel, a 6 ½ year old spayed female mixed breed dog, is the trusted companion and faithful walking partner of a wonderful gentlemen. Angel became acutely lame on her left back leg on April 26, 2011. She was brought to Hampden Family Pet Hospital where Dr. Chris Glawe diagnosed a torn right ACL. TPLO surgery (knee stabilization) was performed to repair her right knee. She handled the operation very well and is making great progress in returning to full function. She has resumed regular walks with her owner! Bogey presented on emergency for Daisy came to Hampden Family Pet Hospital having a bone stuck around his lower jaw. He managed to get the slick, saliva-coated bone past his lower canine teeth and there it stayed. We sedated Bogey, manipulated the bone out of his mouth and sent him home to resume his day. Bogey’s bone incident is a reminder of the trouble dogs can find with bones. Stay out of trouble Bogey! I initially met “Kona”, a 9 year old Labrador Retriever Mix owned by Jim and Suzanne Booth on August 31, 2017. He presented for an oncology consultation following a visit on August 28 with his family veterinarian at Denver Animal Hospital. He had started experiencing nasal congestion and discharge within the past several weeks. 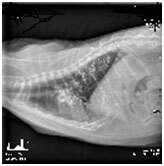 Labwork and radiographs were performed by his family vet. A malignant nasal tumor (carcinoma) was suspected, and the thoracic radiographs (chest xrays) revealed that there were multifocal white nodules within the lungs present. This xray result was ominous, as it signaled that whatever cancer may be present primarily in the nasal passage had started to spread into the lung tissue (metastases). Such findings in veterinary medicine are typically a death sentence, with little/no treatment options to slow the progression of the cancer successfully. Jim and Suzanne and I reviewed the limited options for Kona. They reasonably declined further diagnostic work up such as CT scan, as the presence of lung metastases indicated Kona’s remaining time would be shortened significantly. Treatment options discussed focused upon comfort medications for pain and nasal discharge. I anticipated 4-6 weeks of survival time for him with this approach. One last option was to consider trying chemotherapy medication to slow the progression of the disease and perhaps give him a few extra weeks of time. We discussed a new oral medication “Palladia” which has been shown in some veterinary oncology patients to slow pulmonary metastases growth. They elected to try this option in addition to the palliative therapy for one month and monitor Kona for side effects and efficacy. One month passed and he presented to me for evaluation. Thoracic radiographs were stable and he was tolerating the medications well. Chemotherapy was continued. Two months passed and he came in again for recheck. Xrays revealed that the lung masses had increased in size, but mildly so. Kona continued to feel well and aside from nasal congestion, loved to go on walks, run in the park and enjoy spending time with his family, including playing with his canine buddy at home. Four months later, Jim and Suzanne packed up the dogs and went on a road trip to Florida on vacation. A fun time was had by all, including some wonderful beach time. Kona apparently still had great energy, enjoyed his walks in the sand and swimming in the ocean. And he apparently loved to chase lizards. It was obvious that he had thus far outlived many patients with pulmonary metastases and still had lots of living left to do. Through the winter, Kona continued to receive Palladia and although he was slowing in his endurance, his spirit to keep going to the Chatfield and Cherry Creek Parks and enjoy the snow and other dogs was still strong. Thoracic radiographs in January revealed that the pulmonary masses had grown, but there was minimal evidence of compromise of his lung function. At that time, we elected to continue the chemotherapy and monitor his progress clinically. Kona was outliving many of the dogs I had seen with this affliction and owners wanted to maintain his comfort at home. Kona unfortunately lost his battle with his cancer in at the end of March, 2018. The owners wrote a heartfelt message to all of us here at Hampden Family regarding his last few weeks and informed us that in the end, he went peacefully at home, surrounded by his family. The pictures Jim kindly forwarded to us revealed the vibrant, gentle dog that we remembered, once again enjoying a mountain walk in the snow. Kona has taught me some valuable lessons regarding the potential for chemotherapy to substantially extend a good quality of life despite a grave prognosis. He survived so much longer with treatment, but importantly, HE LIVED WELL. 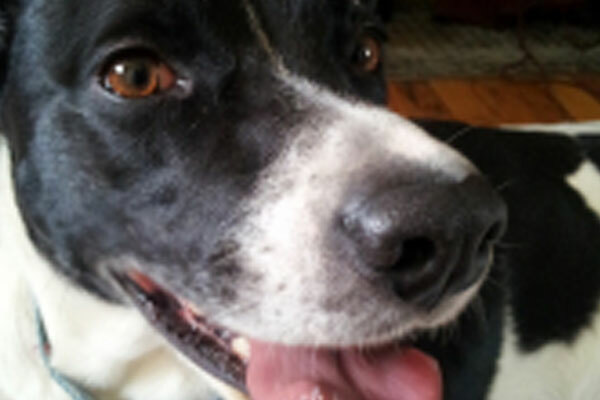 The diagnosis of cancer in a beloved animal elicits fear and angst in many people. As veterinarians, we hope to alleviate these feelings with educating and providing encouragement to our clients to consider their options. Sadly, some patients do not survive for a long period following their diagnosis. But we continue to strive to offer opportunities for our veterinary companions to overcome even the most challenging cancers. Kona showed us that a life, even if shortened in duration, can offer many surprises, even to the professionals who care for them. Harper L is a sweet, almost 9-year-old dog that came in for an exam with the concern of an aural hematoma and ear infection. As surgical repair was chosen, we ran pre-operative bloodwork and found several of his liver enzymes were elevated. Even though Harper was acting completely normal at home, his parents were extremely pro-active and liver biopsies were obtained. It was found that the liver elevations were due to a Copper Hepatopathy. This is a condition caused by an abnormal accumulation of copper in Harper's liver, which leads to progressive damage and scarring of the liver (cirrhosis). The food and water he was drinking obtained normal levels of copper, however Harper’s body could not metabolize it appropriately. Several months after his diagnosis, Harper is now on a couple of medications along with a strict diet, and his liver enzymes are back to normal. This is just one instance where routine/pre-operative bloodwork can help save lives! 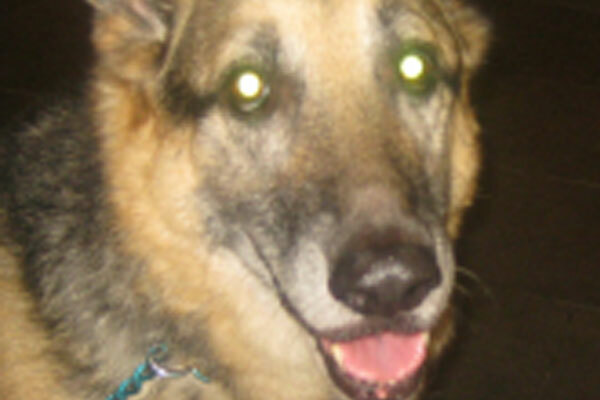 Lucky’s biopsy came back as a benign cystic adenoma, completely removed, so we do not anticipate that it will recur. According to her owner, she is doing great at home and she can now see!